The BCPC Summer Deepstack was starting to gain a bit of a reputation for having good weather and this year was no exception. 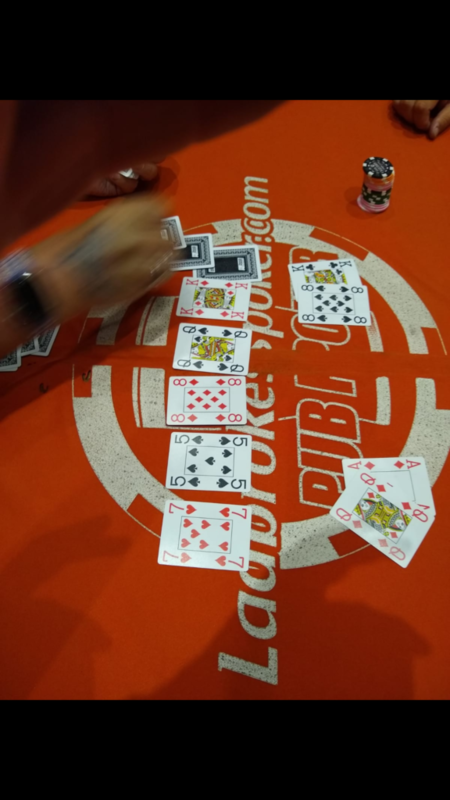 In addition it was gaining a reputation for big prizepools and this year was no different with last years total being smashed by £300 to make todays payout structure worth a whopping £1550! Would it be three times a lady for Jack Hipkiss who had finished runner up in his last two Deepstack outings? Would Patel protect his crown or would a new player emerge victorious to grasp the coveted trophy? A few hours later and we would have our answer! Mark has AA and raises, 88 reraises and AK calls. Charles Mason AK shoves. 88 folds, TT with first AK reluctantly folds. On the backs and flop KK enough to make the trips. Unlucky Marc! 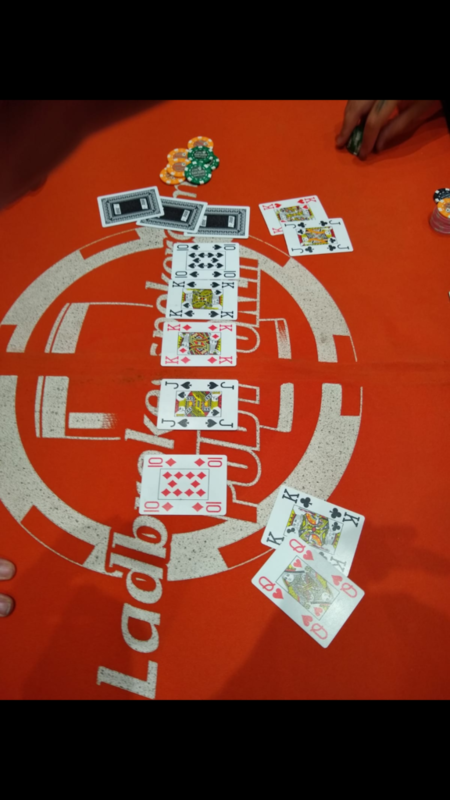 TT’s K/10DD takes out Scouse Steven Bayliff’S A/6 A great flop for Steve, hitting the 6, but leaves TT with a gut shot straight draw. A few outs are removed for TT as Steve makes his trips meaning a Queen and only a Queen could save Tony and take Steve out the game. Surely not?! Surely yes. BANG! and the scouse has gone! Unlucky Steve. 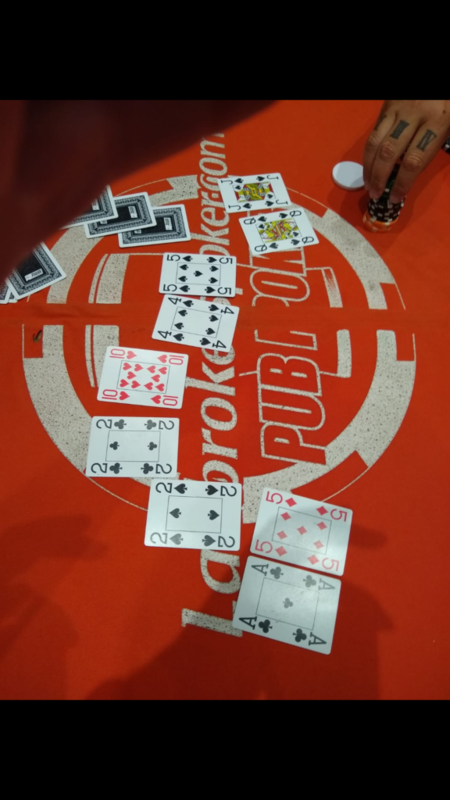 Just over the 9pm mark and a juicy hand had Matt Kay with pocket 10’s, Mason decided to find some Queens and Laura managed to get away from her pocket 9’s preflop and the rest as you can see was history.. Unlucky Charles and nice hand Matt! Laura had found a breath of fresh air around 9.30 by way of a double up courtesy of Matt Wilson. Bit quiet on the update front until 11pm where we were down to the final 8 and Adam Phelan hand found himself in a position with an UBER plenty amount of chips. At this point it was his and his only to lose. On to the bubble at 6th and Mark England was feeling sick. A coin toss would see his A/J up against pocket 5’s and had a great start after hitting his Ace first card down. The 5’s needed help and with 5% chance it was looking good for Mark until DOH! 5, Unlucky Mark! 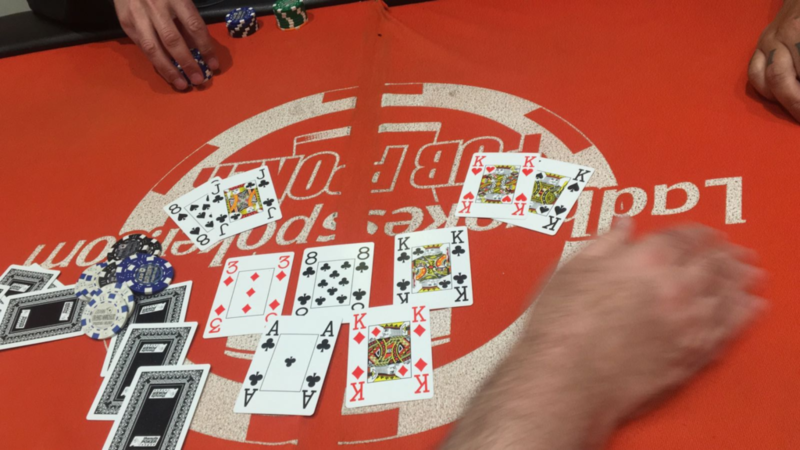 The very next hand and short stacked Rhoden found herself all in with J/Q up against A/5 She needed to hit to beat the Ace, but couldn’t and the 5 just sealed it. Well played Laura, out in 5th for £100 smackaroos! 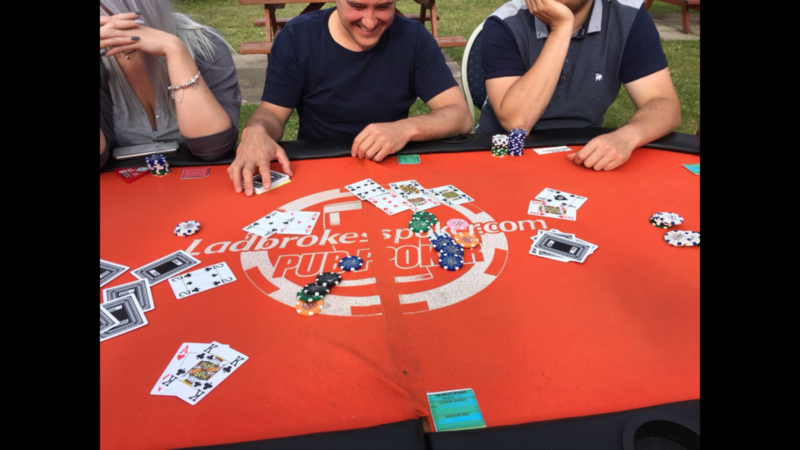 Next to leave the fold would be Matt Wilson who pocketed a cool £250 for his efforts in 3rd and then we were left with 2. Brian Yates our chairman up against Adam Phelan for the coveted title. Brian has had a thing of late where he’s always the bridesmaid never the bride. A 2nd place finish in the HO HO HOMAHA and 2 x 2nd place finishes against Nic Cross in the Heads up trophy. He would eagerly be wanting to win this one, but could he? Unfortunately it was 4th time unlucky for Brian, but nevertheless he still managed to cash a whopping £500 for his efforts. Not a bad day at the office there sir! “well the day started very hot n very slowly chip stack wise and dwindled down to around 12k from 25k starting stack until I hit a sweet flush against Marc Ward. 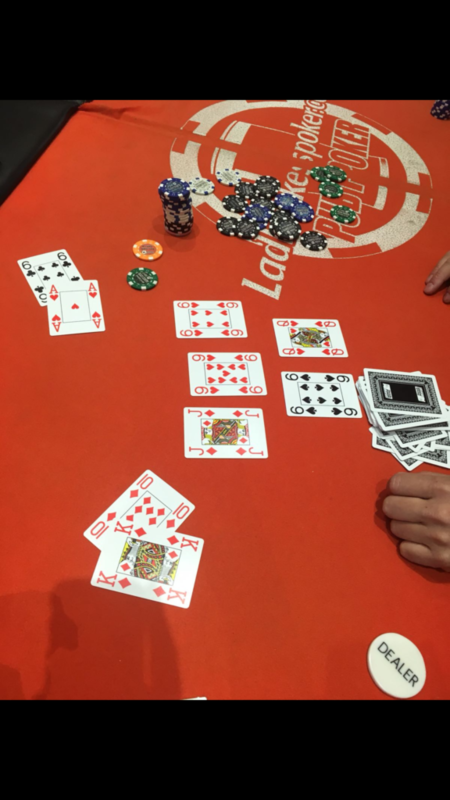 Then another large pot which I can’t remember fully the details of it but by the break i was on around 50k. I felt really good about the day and felt I had brought my A-game. 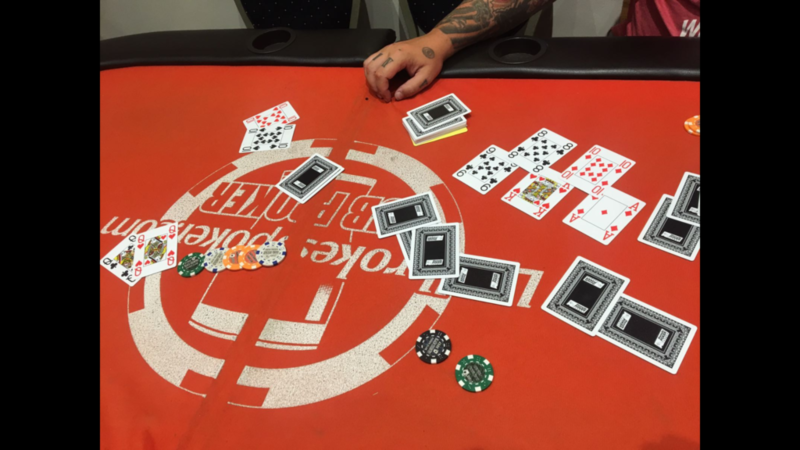 I made a really big call against Ricky Buckland just before the final table with 2 pair on a 4 card straight board. We got to the final table and I think I was was 2nd or 3rd in Chips. I bluffed Marc Ward of a decent sized pot but gave him the speech that I had it. 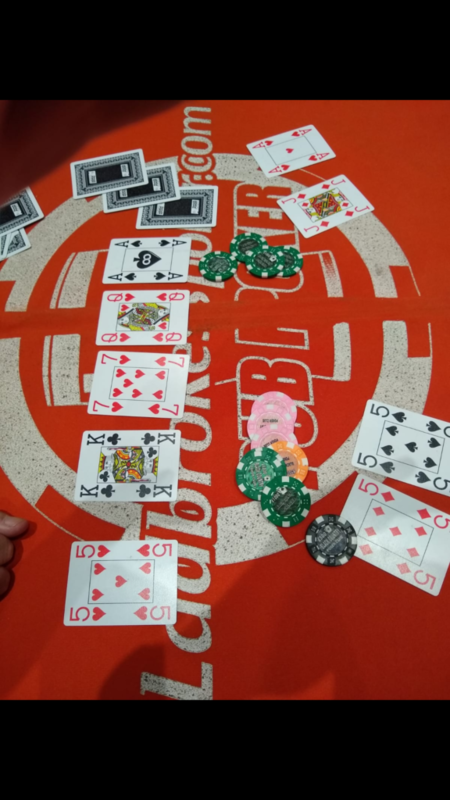 Not too long after I flopped a set against him and unluckily for him he hit top 2 pair on the river and I managed to get his stack. 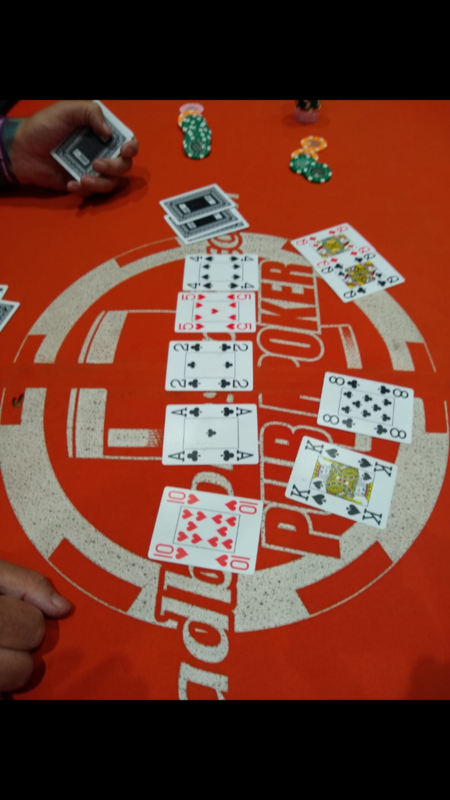 Me and Bri were heads up n we were swapping chips around for almost an hour but I managed to keep the chip lead and in the end he decided to semi bluff on a QJ4 board with 9 10 whilst I had J5 and turned a flush draw with 6s. Another J on the river secured it for me. 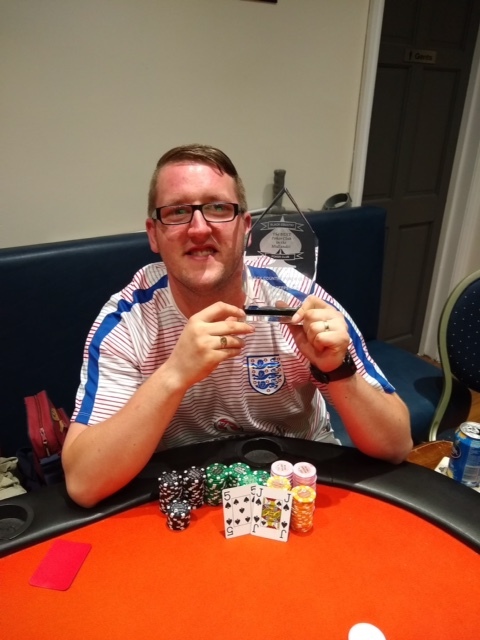 Well done to all that took part and the title will be kept in the Phelan household for 12 months until 2019’s Summer Deepstack. Who will be the next winner, we’ll have to wait and see!